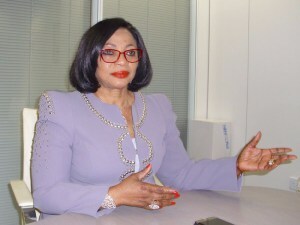 The Vice Chairman of Famfa Oil Ltd., Mrs. Folorunso Alakija has launched ‘Flourish Africa’, a non-profit organisation aimed at creating a global community that encourages and helps women to thrive in all aspects of their lives. The online-based platform which was launched yesterday, is the first phase of a series of initiatives under the Flourish Africa umbrella, designed for women by women to empower both the young and the old to prosper in all aspects of their lives. While Flourish Africa is aimed primarily at women, Mrs. Alakija pointed out that its message could relate to both genders. “I believe both men and women can benefit from the ethos of the Flourish Africa platform”, she noted.